In large pot over high heat combine broth, carrots, onion, ginger and garlic. Bring mixture to a boil then add in spices and lemon juice. Lower heat, simmer for 20 minutes (until carrots are soft). 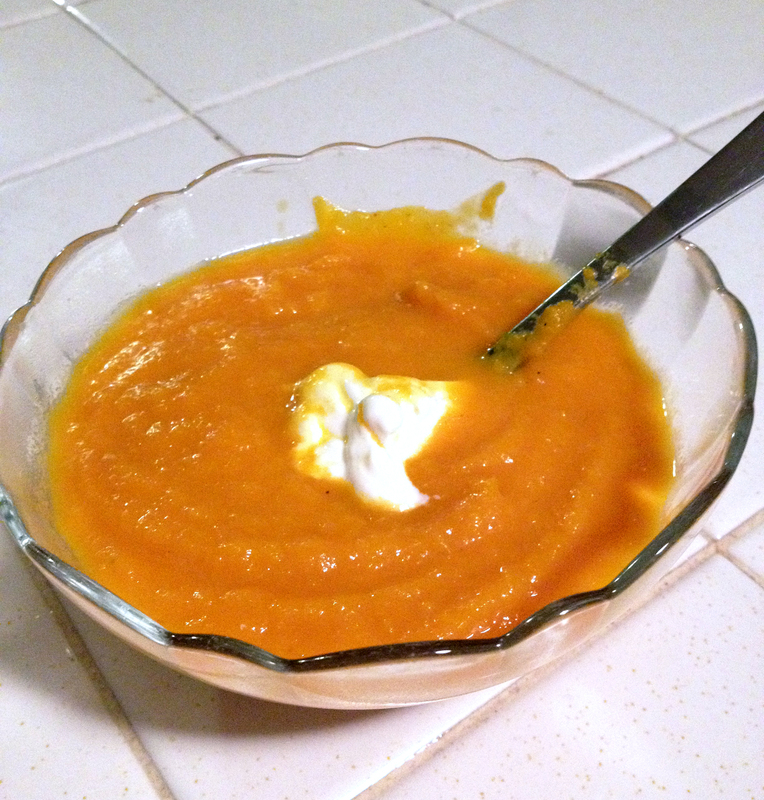 In small batches, Transfer soup to a blender and process until smooth. Return to pot and continue until all soup is smooth and creamy. (or use an immersion blender to accomplish this). Top with a dollop of sour cream or plain yogurt, serve with bread or crackers.